Elegant Simplicity meets Fierce Spirit. 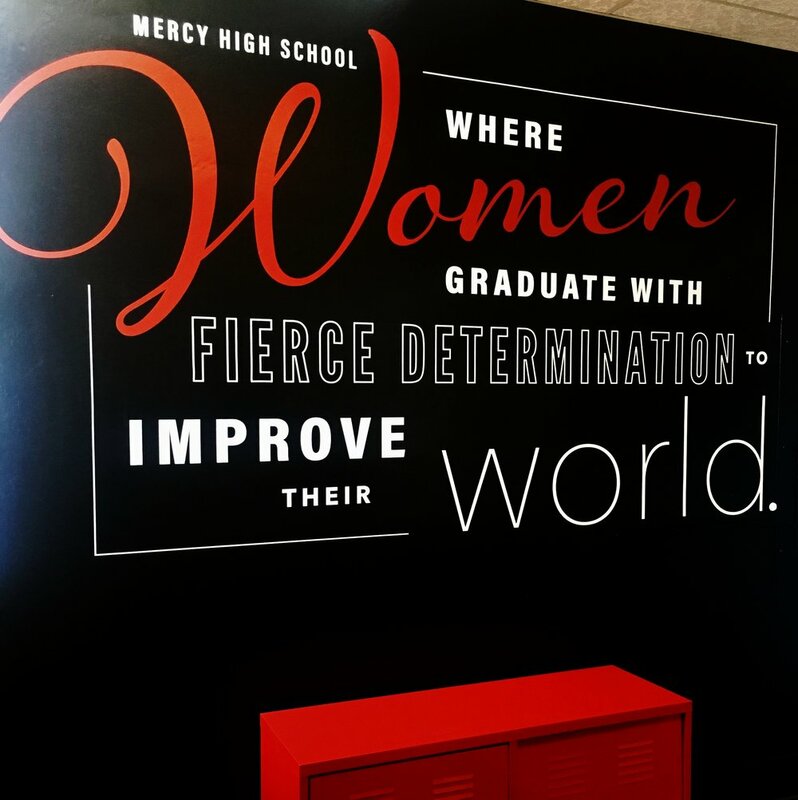 Mercy High School San Francisco is an all-girls Social Advocacy Based Learning school. Mercy initially hired us to transform the fourth floor, formerly the convent housing the Sisters of Mercy, which hadn't been updated in decades. Needing a modern community oriented vibe, we defined the space in elegantly simplicity through a new Board Room, M Lounge entertainment space and Executive Offices. Paying homage to the past, the hallways have become gallery featuring life-size historic photographs dating back to 1952. Mercy then asked us to take our vision to the First Floor, the center of student life and activity. Here we merged the spirit of Catholicity with the Fierce Spirit of the Student Body through custom made lounges, branded art expressions, interactive installations and salvaged wood furnishings.